Don King grew up in Douglas, Wyoming, on the North Platte River about 100 miles north of Laramie. His father, Archie King, was a cowboy and itinerant ranch hand who traveled all over the Western United States. 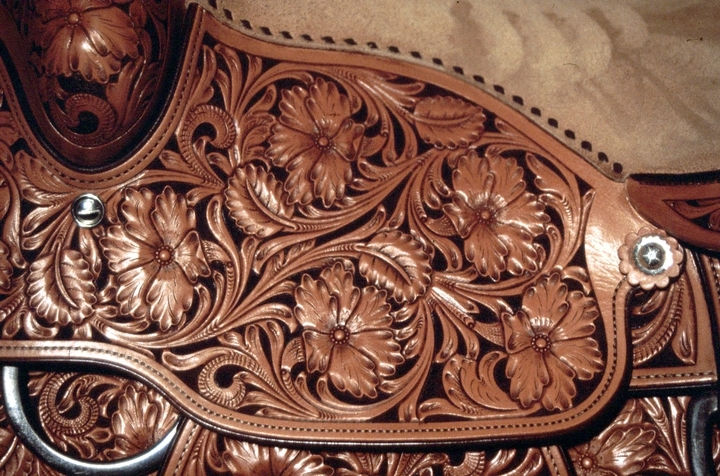 By the age of 14, King was beginning to support himself doing odd jobs on ranches and at rodeos and trying to learn to tool leather in his spare time. Within a year, he was selling and trading belts, wallets and various small gear of his own making. "Cowboys always trade," King said. "I traded for pants, shirts, hats, spurs, anything. Sometimes I ended up with nothing." 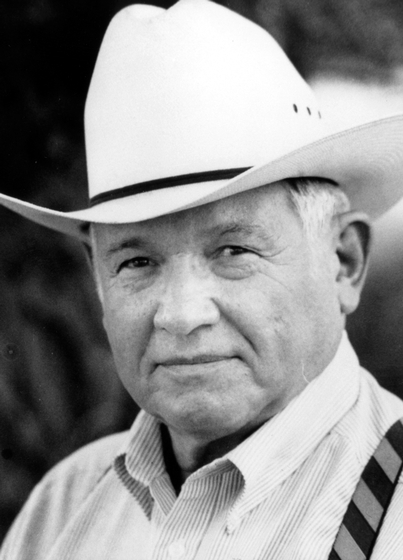 For years, King worked in saddle shops and on ranches in California, Montana and Arizona before returning to Wyoming, where, in 1946, he married and settled in the town of Sheridan. There, he became an apprentice to his friend Rudy Mudra, an expert saddle maker, doing piecework and assisting in the building of saddles for the local cowboys. Later, King was able to acquire his own 200-acre ranch, where for several years he raised cattle and horses while working only part time at the leather trade. 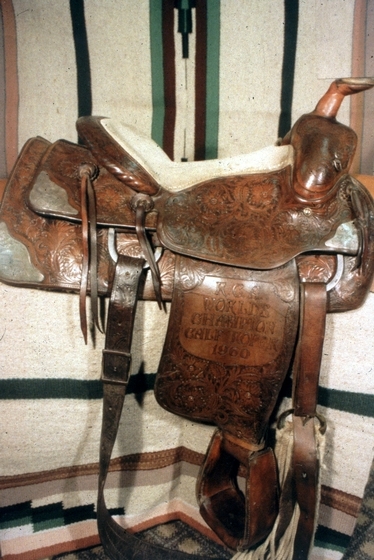 In 1957, King devoted himself full time to saddle making and leather tooling, focusing primarily on highly ornamental trophy saddles, which are given as prizes in rodeo competitions. He developed his own style of tooling, characterized by wild roses with a distinctive shape (as though they were viewed from a 45-degree angle), arranged in complex, scroll-like patterns of interlocking circles. 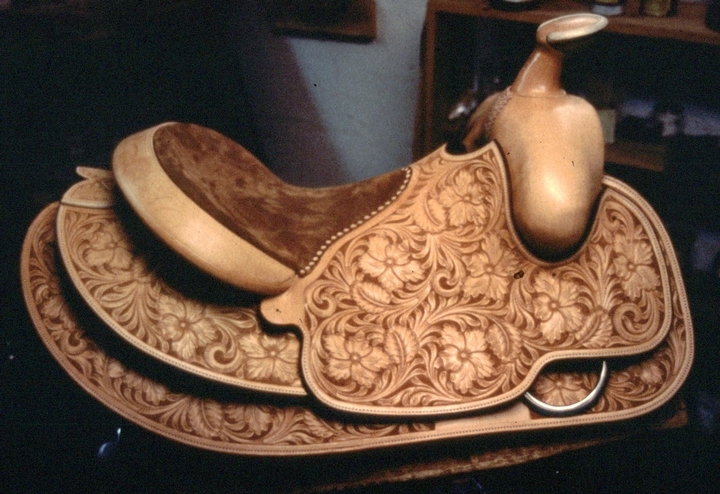 King became known for his impeccable craftsmanship and incredible precision that were demonstrated in the making of what is now known as the "Sheridan-style" saddle, which he is credited with almost single-handedly developing. 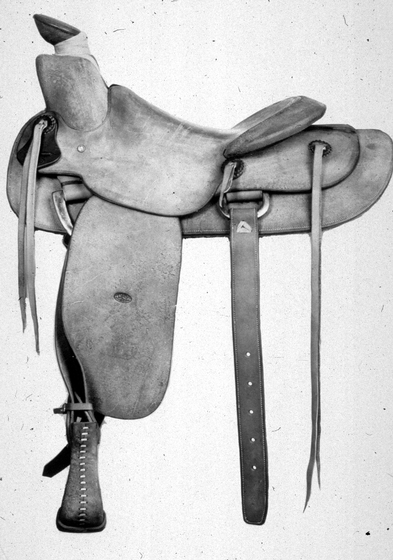 The Sheridan-style saddle is, in its general form, a classic high plains roping saddle: short, square skirts; a low cantle with a broad Cheyenne roll; large swells and a prominent horn; small side jockeys; and relatively narrow fenders that are at a 90-degree angle to the skirt. 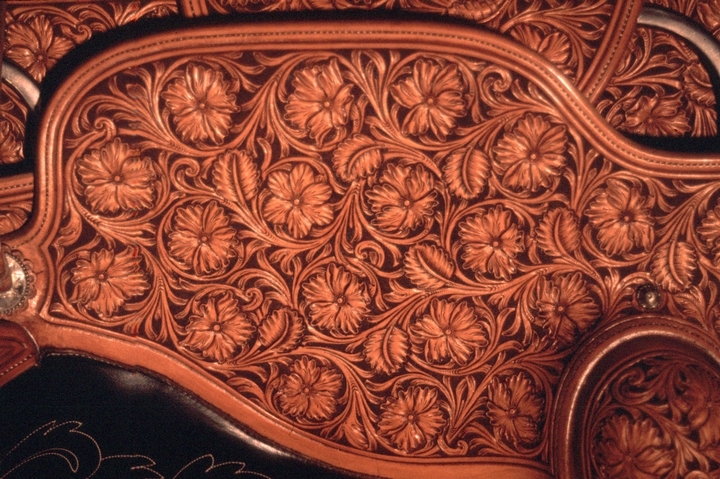 King was one of several saddle makers who were responsible for the increasing popularity of this saddle, although its most distinctive element is the characteristic wild rose tooling he created. 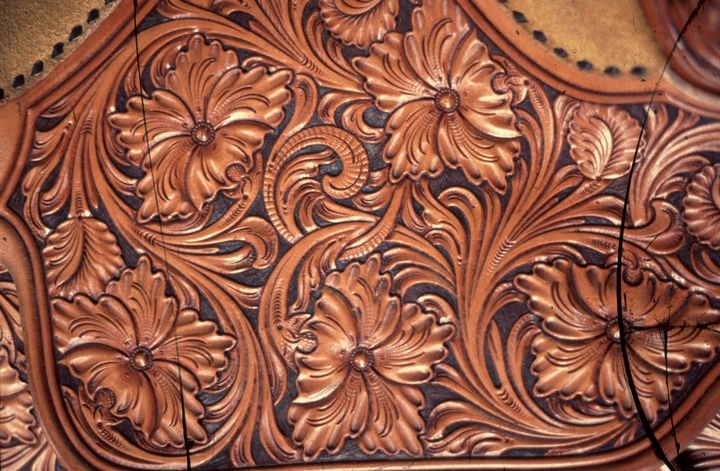 In addition, King used unusually deep stamping to give greater three-dimensional depth to his tooling and relied more heavily on the swivel knife to emphasize the lines of detail more than the shading. By the late 1950s, King had established his reputation among ranchers and rodeo cowboys. Sheridan, where he lived, had been a center of the cattle industry since the late nineteenth century and has supported numerous leather workers and saddle makers. King's apprentices have included a number of top-notch saddle makers, including Billy Gardner, Chester Hape and Bob Douglas. His sons, Bruce, Bill, Bob and John, all became accomplished leather toolers. 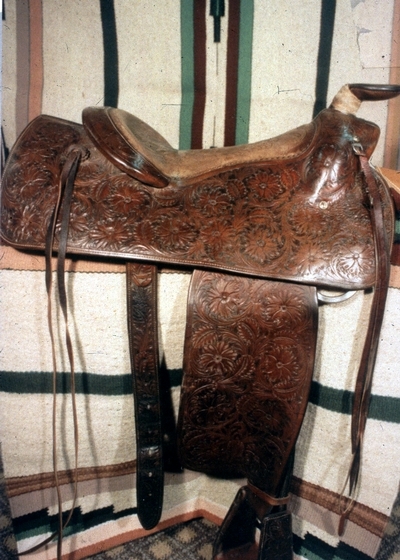 Over the years, King's saddles have been acquired by working cowboys and celebrities alike, such as Queen Elizabeth, Ronald Reagan, and the Crown Prince of Saudi Arabia. 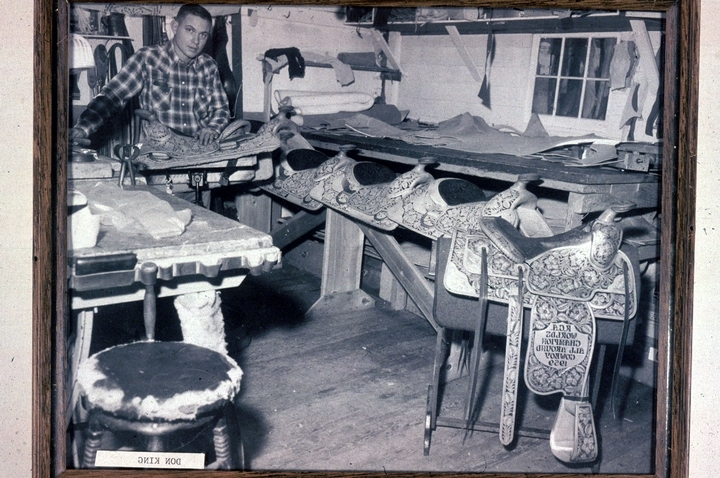 He made trophy (prize) saddles for virtually every rodeo event, working regularly to meet the needs of the PRCA (Professional Rodeo Cowboys Association). His work has been exhibited widely in museums and festivals, such as the Edward-Dean Museum of Decorative Arts (Cherry Valley, California), the Nicolaysen Art Museum (Casper, Wyoming), and the Pro Rodeo Hall of Fame (Colorado Springs).